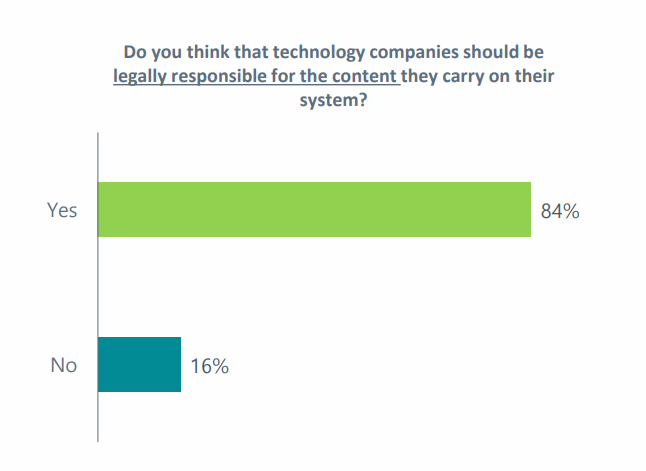 In the wake of Facebook CEO Mark Zuckerberg’s testimony before Congress, a Harris X poll showed a huge majority in favour of greater legislative control on the tech giants. Of more than 2,500 people surveyed, 83% thought regulation was needed – and 62% believed it was on the way within the next few years. Older respondents were most in favour of Wall Street-style controls on Silicon Valley, with 62% for, in comparison with 47% of Gen X, and 44% of millennials. Of particular concern were newsfeed items, search-engine results and advertising targeted according to political views or affiliations: 40% demanded regulation, against 27% who would oppose government measures. But there was less belief in the US government’s ability to go head-to-head with the tech giants: only 38% thought it was capable of effective measures. The Cambridge Analytica revelations have undoubtedly crystallized public concerns about the use of data: only 49% thought regulation was necessary as recently as November last year.